This was my 2nd order with Artisan Aromatics, and I couldn’t be more pleased with the oils and the service. I have 5 different oils from A.A. now and each one is fresh and potent. I’m impressed that you fill + date each bottle the day or day after I placed my orders. I’ve enjoyed the samples you’ve included also. The quality of these oils is the best I have encountered, without a huge markup which one popular company has done. I am recommending your company to friends, and I will buy from you alone in the future with confidence that I’m getting the best quality oils at a fair price! Many thanks! 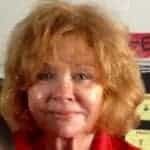 Liz Meyer. Experienced good communication with them, and they refunded me the difference between quoted freight cost(was very high, due to me living in Norway) and the actual cost. Products look nice, and smell nice. I have purchased Essential Oils from you for the last 5-8 years because of your quality and the rapid turn around in receiving my order. I am never disappointed with my products or worry about the condition of the shipping. The care in which you treat your customers is evident in the packaging. I have been providing Therapeutic bodywork greater than 20 years and experienced the heartbreak of purchases gone wrong. I can always rest assured that my order will arrive quickly and safely. I was given a few bottles of your oil by a collegue and the rest is history. Thank you for your attention to details an the quality of your products. I called and ordered the essential oil samplers, to see how these oils compared to another company. These are wonderful, pure oils. Sue was a joy to talk with. Thank you for the little extra samples. I am getting ready to sell my skin care line, and wanted the best possible essential oils for my products. This is the company!! My orders always arrive quickly, personally packed and I Love getting the free sample in every order!! I have no need to shop elsewhere!!! Truth is, I have never been disappointed by a product. Artisan Aromatic is my favorite company for many reasons. The oils are too quality- you’ll notice the difference the frist time you pop that seal. Extraordinary coustomer service. I love the personal service offered by the owners and staff of Artisan Aromatics! This is a 5 star company all around the world. The essential oils are the best quality you can find. Since your essential oils are superb, my customers are very pleased with them. I will continue to order from you. I have been pleased with your company since my first order. I’ll place an order tonight. Quality products and quick service! My order arrived much quicker than expected since it was the holiday season. I love all of the Artisan Essential Oils products I have tried. I love ArtisanAromatics and Their oil. Amazing customer service. sweet orange and ginger, lavender. The first time I got a whiff of the sweet orange essential oil, it was like I’d never really experienced the true aroma pure, intense organic. This oil is my absolute favorite. It has a very pleasant, heady but not too sweet scent. The best part is that It smells just like oriental lily in a tiny bottle. Not a cheap perfume oil imitation. It comes in a small package and is expensive, but it makes the most luxurious lotion and oil based perfume. I love the products; and, my clients love mine. I love the customer service, too. The enfleurage essential oils are expensive but breathtakingly good. Once having tried them, you will find it hard to go back. I have also tried the lotion base and like it a great deal. The larger size is often out of stock which is frustrating. And I wish the lotion base came in a wide mouth jar. It is difficult to get all of the product out of the plastic bottle it is sold in. Otherwise, I have little if any criticism. We should support Artisan Essential Oils. They deserve it. Great company! I’ve ordered from them twice and order was completely correct and packed nicely. Even comes with a nice little extra gift. The oils are high quality and a little goes a long way. I have ordered through Artisan for years. I have yet to experience once negative experience. My shipment is always processed promptly with excellent customer service. They are relaxed and personable when emailing. Basically, AA us my only go to for anything essential oil related! Have used these oils to make blends. The blends have turned out great. What a great company to work with! No pressure to buy or minimums to meet. Oils are high quality! Looking forward to buying more in the future. Also love their newsletter. The Joint blend is comforting on achs and pains. The Robbers was great while we were fighting colds. Both blends are high quality. I placed two separate orders accidentally. I wanted to combine them for free shipping. I sent an email and the orders were combined, no problem! The products great as well. The Monoi de Tahiti was so lovely! Very happy with my purchase. Great products! This is my 5th order! The information from the educational newsletter helps me try new fragrances.. The order is received within a few days. I love Artisan Aeromatics ! This was one of my larger orders. Everything came well packaged. I used some oils has gifts to others. I sold some oils as blends under our business name. 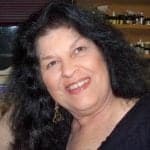 I used the oils in a class on beginning aromatherapy. (I am currently enrolled in a Master’s program as an aromatherapist). I was very happy with the quality of the oils and will continue to utilize this company. I finally seem to have found a really good Patchouli. Smells gorgeous and lasts long. I purchased the Melissa EO from Artisan and love it. It has this crisp, sharp, fresh scent. I use it at night, right before I go to sleep. I put several drops in my diffuser and like to mix it with a couple of drops of patchouli EO – the smell makes me smile and has calming effect. Artisan Aromatics is best source of purest and most authentic quality oils. I shopped around and Artisan Aromatics is incomparable. Fast service, responsive and accommodating team and great news letters. Website provides great information and direction plus awesome seasonal discounts and perks for returning customers. I ordered the 5 sample oils, they were so wonderful. I love Gardenia and it was like having the flowers in my home. I’m so glad I came across your site. I love the personal service offered by the owners and staff of Artisan Aromatics! Each time I’ve emailed with questions I’ve received a prompt and personalized response. I find the ordering process to be efficient and I am quite happy with the oils I have used and tried thus far. I use oils almost daily with my Thai Massage clients and they have also benefitted from the therapeutic effects. My last order was the Professionals Starter Kit. I chose it after realizing the real bargain that it is when I compared it to the oils that I needed at the time. The cost was about the same and I received a full supply of some of the most commonly used oils as well as all of the oils I needed plus a couple of new ones! 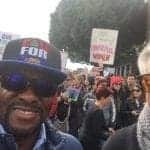 I’m very please and plan to continue supporting AA! The oils came well packaged. I have not had a chance to work with all the oils, but have been happy with the ones I have. They seem to be of good quality. I like the diffuser. It is of better quality then my previous one. My only dislike is that I wish I could adjust the light in it. Overall I was pleased with my purchase. Although, the Gardenia Solid Perfume not so much. I was a little disappointed that it wasn’t as fragrant as I thought it would be. The Lavender Lotion is GREAT! I will be ordering more of that in the future. Great Oils and great response time, we get them right away so we can start using them!!! What I love about Artisan Aromatics is that I feel I’m receiving the best quality oils along with all the pertinent information I need to know about the oils. Service is fast and easy and prices are very reasonable. So glad I found Artisan Aromatics! I recently started my own skincare company, Earthen Roots Skincare. I create natural, healing skincare products from ingredients sourced from the earth- no harsh chemicals or artificial ingredients! I truly think the powerhouses behind my formulas are the essential oils in them, and I knew I wanted a company that I could trust to provide me with pure, high quality oils. Artisan Aromatics does just that! I also live on the SC/NC border, and when I saw that this company was based out of NC, I knew it was meant to be. I love supporting other local businesses, and I love that my customers will, in turn, do the same! I am very thankful for this company and hope to to work more with them in the future! these oils are superior to many. I only use 4 companies for oils. My standards are high. Artisan Aromatics has passed that expectation. Thank you for offering a clean high quality product. This is a 5 star company all around. The essential oils are the best quality you can find. Great customer service and follow through, I will never buy oils from any other company! We love using Artisan Aromatics, they always have great products and they get them to us fast!! The oils I buy through Artisan Aromatics are always of excellent quality. The oils are shipped on time and they have great price points. I love that I can look up on their web-site and find out exactly what is in each oil and how it can be used with other oils. I know when I order from them that I will have great oils, customer service, and an overall great experience. This hydrosol I received is the best hydrosol I’ve ever tried! I’ll definitely be coming back for a larger size, as well as to try the others! Shipping prices are VERY reasonable & the order was shipped out & received in a very timely manner. I can’t wait to try more products from Artisan Aromatics! When working with another company, there are 2 things that mean everything to me: Quality, and Customer service. Obviously quality is everything when it comes to getting great results with my essential oils, but a company with great products can lose my business if they are never answering their phones or emails. Not the case with Artisan Aromatics! They almost always answer the phone, which gives me immediate answers to my questions, and they are very prompt when answering emails. They are also willing to take the time to talk to me when I am more inquisitive on certain oils or standards for sourcing, answering detailed questions with knowledge & integrity. I have never been let down with this company, or their products. And the staff is incredibly friendly to boot! I have been an Artisan client for a good while and I am always satisfied with their service and products! I know when I order from Artisan that I can feel confident that I will get exactly what I am looking for. The staff is awesome and will go out of their way to accomodate me and my business! Thank you Artisan and your staff!! What is new? AA surges and rockets high above any essential oil brand. The quality, essence, customer service, genuine compassion, and intention sets the mood. Thank you for being a company that consumers can TRUST and LOVE!!! I am delighted with the quality, service, speed of delivery and positive energy of Artisan Essential Oils. Prices are extremely reasonable. This company has my highest recommendation. I bought the gardenia solid perfume and it is so wonderful. I just love the scent and it wears very nicely–not too heavy but very clean and sweet smelling. I would definitely recommend this to anyone who is thinking about buying it. Excellent!! Artisan Aromatics has been a pleasure to work with! With high integrity, they provide quality oils with competitive pricing, excellent customer service, and prompt shipping. I find their website very user-friendly, and when I do need to speak to them, someone always answers the phone! All of these factors keep me coming back repeatedly. Just gets better with every order! I have been A customer of AEO for more than five years now. In the beginning I thought it was just a fleeting hobby. Boy was I wrong. AEO’s products have improved the quality of my life substantially, so much so, I don’t know what I would do without them. From the time I awaken in the wee hours of dawn, Until I prepare for a restful nights sleep, the products have become an Integral part of my life. I can’t keep enough for myself because of my customers. I’m sure you’ll love them too. I enjoyed the aroma of each oil, the purity of each oil came through – by the distinct aroma. 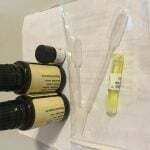 This company has excellent costumer service I am definitely going to recommend to my friends and fellow aromatherapist students and practitioners. 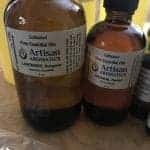 Whenever I am in need of products especially for my aromatherapy classes, Artisan is always first and foremost on my list. I always do price comparisons and AA has not only the best prices, but also their essential oils are magnificent! The staff always goes above and beyond to get what I need and to get it to me when I need it. I highly recommend this company for all of your aromatherapy needs. Thank you Artisan and your staff! We couldn’t be more pleased with the balsam poplar oil and the fantastic customer service we received! This oil is hard to come by and we received a few emails keeping us up to date on the arrival and ship date. When we did receive our shipment it was wrapped so nicely and came with a sample of another oil. We were excited when we saw the “oil extractor” thing 🙂 . Will definitely be ordering again!! We love supporting family owned USA companies. Superb customer service and essential oils! The outstanding oils arrived within a few days of my order. The quality and fragrance of the oils is superior to oils I have purchased elsewhere. The accompanying information chart is so helpful. This describes each oil and it’s uses. I’m sold on Artisan Essential Oils! I’ve been a happy customer for over a decade. The quality, well-sourced products and responsive customer service keep me coming back! The oils might be a little more expensive than others, however these are top quality… properly harvested, correctly distilled/extracted, with single country/location of origin clearly marked. This is the best EO company in the states operating with integrity and heart. This was my first time working with Artisan and I am more than happy. They answered all our questions thoroughly, before we placed our order. We ordered online and it was quick and easy. Will use these guys again. Thrilled with Artisan Essentials products and service! I use to buy essential oils from big companies who’s names we’ve all heard but after years of hearing drama unfold within the companies, false advertising, and poor environmental practices, I decided to look elsewhere. It feels so good to support a small company with the high standards, integrity, and a gentle environmental footprint which Artisan exemplifies! Their products are divine and they clearly state which products are organic, which is important to me. Thank you Artisan Essentials, keep up the amazing work! I ordered the 4 pack of roll-ons and I was so surprised to see a personalized note from Sue. My order came promptly and she gave me a sample oil and an extra roll-on. You guys ROCK!!! I am very pleased with the service i have received from any and all of your Company. If I have a question you are quick to respond… my orders have arrived in a timely manner… if anything was not available you let me know up front… Thank you for allowing me to partner with you in my new Business Adventure. I ordered the gardenia effleurage and the Monoi oil blend, as well as organic jojoba oil. While I can say the Monoi and the gardenia oil are excellent, I have to wait to report on the jojoba oil, though what little I have tried is amazing! The package arrived dripping with oil and a note from the post office that they were sorry for the handling of the package. The wonderful team at Artisan Aromatics made sure to replace my jojoba oil and even checked in to see if I wanted to take advantage of free shipping with the replacement. Thanks a bunch! I am very glad I chose Artisan oils to sample. I noticed a big difference as soon as I turned my diffuser on. I could not only smell the oil in the room the diffuser was in but also down the hallway and in other rooms. I love the selections also. I love this company. Their oils are always fresh and clean. They are very fast to deliver the oils and there is a little surprise in the package. The oils are reasonably priced, too. I’ve only been purchasing my oils from Artisan Aromatics for a brief time, but they never disappoint. I’ll never buy from anyone else! I really appreciate the the extra effort made by the staff to fill and ship my last minute order in preparation for an Open House at my business. I received my complete order in plenty of time and was able to offer my customers the superior products from Artisan Aromatics. I did quite a bit of research before choosing this company. Not only are the oils of the highest therapeutic quality, they are sourced conscientiously from around the world, which is of great importance to me. I also appreciate their attention to education on the safety of using essential oils. 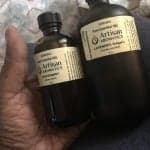 I am hooked on this company and while there are other suppliers of quality aromatherapy products, I will be recommending Artisan Aromatics exclusively. Every single order I have ever made has been of exceptional quality! 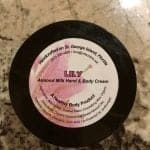 Your Lily and gardenia oils are incredible! I was very excited to find this local company. They responded quickly to my e mails and answered any questions I had. My first order was sweet orange and vanilla absolute. They included a sample of the Energy Blend and a free car clip diffuser. The sweet orange oil is great! I especially loved the Energy Blend it’s very invigorating and lovely. Since I’m local Sue met my husband at a near by location for pick up! Great experience all around and would highly recommend this company. I made my first order recently. It came quickly, within 7 days and was packed to perfection. I opened each oil and with each one I became more excited to start my business. Thank you and I will be using your company in the future. 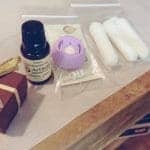 I bought some sample sizes because I am new to aromatherapy and wanted to try them out. The company sent me a few extras, which was nice. I love the products! This company makes amazing products and is super fast to fulfill my orders as a retailer. I love doing business with them and supporting a local NC company in one fell swoop. Don’t delay in ordering their quality oils and receiving their great customer service!! Artisan Aromatics provided me with a very relaxing oil called Benzoin. I use it while I’m studying or need to really relax like at bed time. I find it to have great efficacy. I use a lot of essential oils and will certainly be ordering again! I hardly can find the right words to express my joy….. This Gardenia is fantastic, the true, real flower, I’m simply in Heaven !! When I was in Italy I often used to buy Gardenia plants, very common there…. here in Ottawa, I cannot find them. Thanks to Artisan Aromatics, this “paradise” scent brings me back to my Italy and the memories living in Rome years ago, when I used to give the plant to my grandmother as a present. I am always pleased with the products I purchase from AA, and the staff is wonderful to work with! If you haven’t tried this company, you should!! Thanks once again AA for excellent service, products and staff! I recently ordered 6 samples of essential oils. The aroma coming from each vial was transportive. I especially liked the Artisanal Black Spruce which I found to be vibrant. The Lavender from Provence is exquisite. I look forward to ordering more in the future! Shipping, communication, and quality as always… superb!!! I am grateful to have found Artisan Aromatics. They create safe platforms for natural healing and it is the only brand I will stand behind. Artisan Aromatics is leading the field due to the quality, friendly service, and appreciation for supporting small business. Our Earth is darn lucky to have Artisan Aromatics modeling how a business should be run and Essential Oils curated! 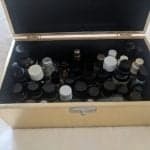 I ordered diffusers and carrier oils for my essential oil business. They have been hits and I have received so many compliments. The shipment from Artisan Aromatics was quick and the packaging was very nice. I will certainly be ordering again. We as a first generation family of 7 took a leap of faith and had to choose from SO MANY wholesale offers to begin our journey with our new company known as Divine Alternatives. We gladly chose Artisan Aromatics as our source for Wholesale Essential Oils! Our bulk package was packaged safely, promptly, and true to quality and quantity! We highly recommend them! Thanks again! My order arrived promptly via Priority Mail even though I only paid for 1st Class, the EO’s were of high quality and they even included pipettes which made it easy to transfer into other bottles. Very happy with their level of attention to detail. I LOVE ARTISAN AROMATICS! Their products are top notch. I’ve had soooo many compliments on how I smell and how great the oils are. I’ve given for gifts and referred a local business owner today. I am a local business owner/realtor and know how important service is. I love that they alway write a little note on the invoice. I am impressed. I have been ordering from AA for a while now I have never been unhappy or disappointed with their service or their products! They are always very helpful and go out of their way to give the best service ever! I have recommended them to several of my contacts, and I will continue to purchase my products from them. Thank you Artisan and your staff. You are all definitly One of the BEST!! Recommending to my friends. Quick delivery. Superb products. I ordered the sound sleeping blend to help with my insomnia and it definitely helped. It also smells great! I’ve made a few other purchases and have been quite pleased thus far. You’ve definitely created a loyal customer. I couldn’t be happier with the oils I ordered from you. I love them all, and have used some to make natural deodarant and facial oil. Your lemon essential oil smells refreshing, like a freshly peeled fruit. Thanks for the wonderful experience. Will order more! Great product. Much better oils than competitor’s. Fabulous customer service! So helpful and a wonderful selection! I love the quality and variety of your products and the personal approach that you take with your customers. I’d recommend your store to anyone! This was my first order from Artisan. I had called and the sales person was friendly, informative and quite helpful. So I placed my order. It’s arrival was promised in 4 days, but maybe 3 days. Imagine my surprise when it arrived in just 2 days! The bottles were neatly and securely packed plus there were 2 unexpected gifts – samples. The service may not always be THAT efficient, but obviously the people at Artisan go to great effort to deliver as promised. And then a bit better. An Amazing company with Amazing people providing an Amazing service! I very much appreciate your quality products and service. Pricing is a good value. You will have my next order of essential oils. The only product I was disappointed with was the lavender hydrasol didn’t smell like lavender, it had a weedy sour smell. So glad to hear that you like & appreciate the quality of our products and service – thanks!. Sorry to disappoint with the hydrosol – not really my favorite either – we’ll look for a new supplier for out next batch. This was one of several orders from your company. Each one was delivered timely and your pricing and quality are excellent. This is my go-to site for essential oils. 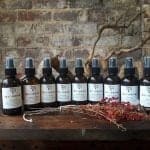 I have always been pleased with anything I’ve received from Artisan Aromatics, and have every confidence when I refer my clients to them that they will receive top quality oils. I ordered the Gardenia oil and I am very satisfied with the product as well as with its presentation in a little box. One to two drops mixed with a drop of Jasmine is enough to stay on all day as a perfume. Thank you Artisan Aromatics! We love getting your oils, the product is great. It’s just the last time we put in an order we didn’t seem to get the price that was listed, or our normal wholesale price. I’m not sure how hard it would be for you guys since you are a small company. But if you could get a separate wholesale ordering and access it might be easier to use, or understand. Thanks! We love your oils! Doing business with Artisan Aromatics has been wonderful. Their products are quality and their customer service is above and beyond. My last order arrived promptly and was well packaged. I trust the qualaity of these oils. I feel this company is very concientious. I always appreciate the tiny free sample vials.. But this time I was pleasantly surpriced to receive a free 5ml bottle of one of your calming blends. I am a repeat customer of course. I purchased Palo Santo Oil to add to my bug spray to more effectively combat tics. The whole experience from browsing the website to receiving my order went flawlessly. Definitely recommend Artisan Aromatics! I have been going through a stressful time and the usual outlets have not been working. I ordered Let It Go in an inhaler because I was going to be doing some big city driving – which is really not something I enjoy. With the first sniff, I felt the muscles in my neck relax. What I really appreciated was the clear thinking that occurred as well. I handled every lane change and exit ramp without incident and I arrived at my destination feeling confident and refreshed. I will make sure I always have Let It Go with me. I love the wholesale price as well as how well everything is taken care of. The quality is wonderful! I trust this company with all of my heart. Such a great team dedicated to clean, therapeutic grade of oils… i use them daily in my role as the Integrative Nurse Specialist at CMC-NorthEast. Our patients and staff love them. You’re amazing. Seriously. 10/10 customer service. I have used several brands of essentials oils until I discovered Artisan. I am very pleased with the quality and the personal customer service is beyond EXCELLENT! The Gardenia Enfleurage extracted with coconut oil is truly phenomenal! So much better than the palm oil Enfleurage. It’s as if I’m sniffing the freshest Gardenia ever. Thank you so much. Dear Artisan – Once again, a usual, I was pleased with my order. Your products are excellent, and service is unbeatable! You have gone above and beyond to help me with my orders. I will continue to order from you. Hi there! As always, I am delighted when I receive my order! Everything was in this shipment and I will continue to purchase my essential oils from you! Thanks a bunch for your great customer service and Products, J.